The US Nationals take place at the Event Site in Hood River, Oregon from July 23rd-26th. Classes for the event include Slalom, Formula and the Freestyle Nationals. Entry fees are $100 before July 1st, and $150 after, a second discipline is $50. So pay now and you’ll have a few extra bucks to buy a little something extra from the sponsor Big Winds. 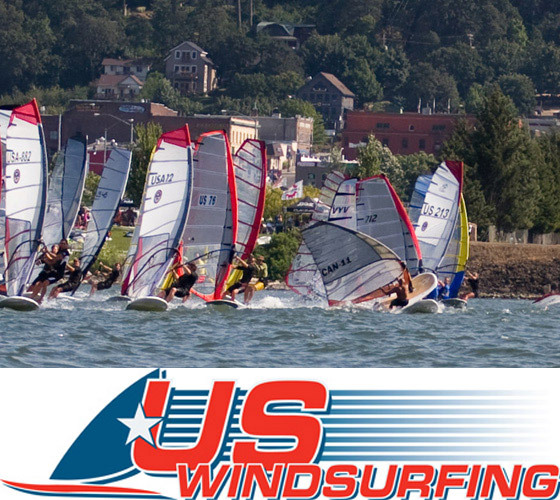 It is presented by the American Windsurfing Tour with sponsorship from Big Winds, Columbia Gorge Windsurfing Association, and Sailworks. Lake Garda and JP are hosting a few exciting events over the summer. 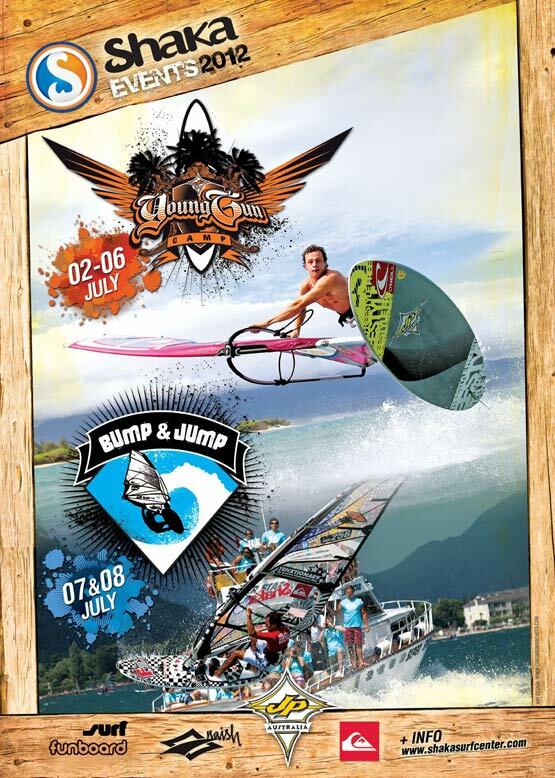 The events include the now legendary Young Gun Camp, July 2nd – 3rd, and the Shaka Bump & Jump Contest July 7 – 8. Both events will be hosted at Shaka! 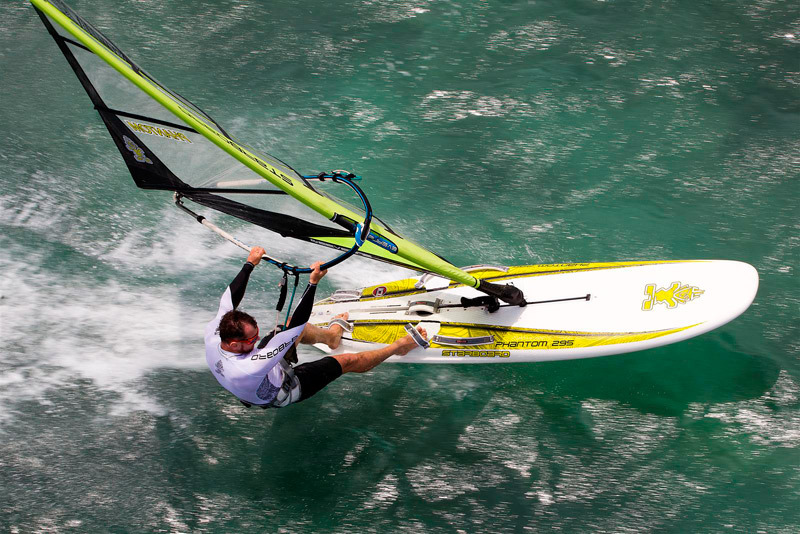 The famous windsurf centre in Torbole, Lake Garda, is not only one of the biggest in Italy or the world, but its owner Mikel Slijk is also very active organizing both events for 2012. 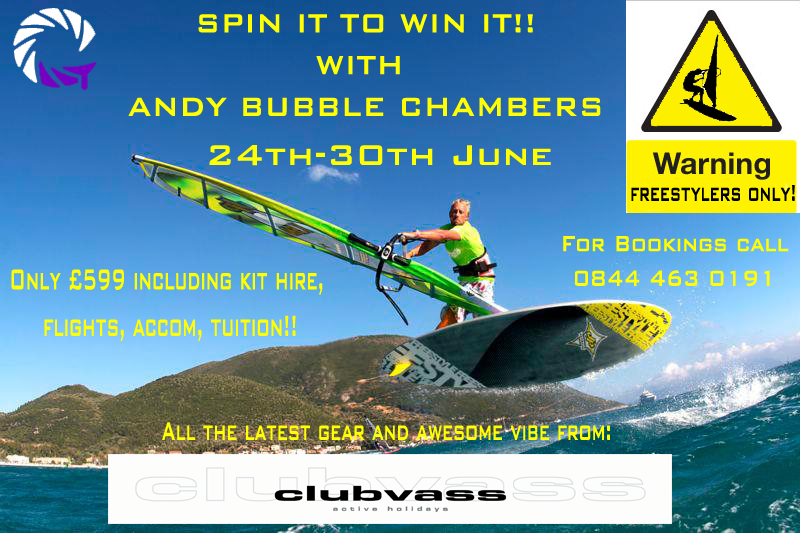 A special ONE OFF Freestyle Clinic with 4 x British Freestyle Champion Bubble will run in Vass from the 24th – 30th June. This week will run separately from the normal week at Club Vass. We will eat, sleep and breathe freestyle!! All aspects of freestyle will be covered from the pop, all the way through to the most advanced freestyle moves known to man!! As well as freestyle kit set up and competitions. Chats from the legendary Jay Haysey from Globalshot Pictures about getting the right shot and marketing yourself. He’ll also be getting awesome pictures and video of everyone. WARNING!! This week is not for the faint hearted with lots of adrenaline pumping activities, such as mountain biking and wakeboarding. Also, some Suping and Yoga for the chillout sessions too! But mainly the week is about having fun, learning lots and windsurfing as much as possible. Social evenings will include meals out in the awesome town of Vassiliki and not forgetting the world renowned Club Vass BBQ and social evenings. Video and on the water coaching will be done everyday and debriefed around the bar in the evenings (depending on wind and other social activities!) All of the video footage will be edited into an awesome action pumping movie for you to take home! There are only 10 places available at the ridiculously low price of £599!!! If you snooze you loose!! Probably the best week you’ll ever go on!! PLEASE NOTE THIS IS A FREESTYLE WEEK ONLY, NO GYBERS OR FREERIDERS PLEASE!! 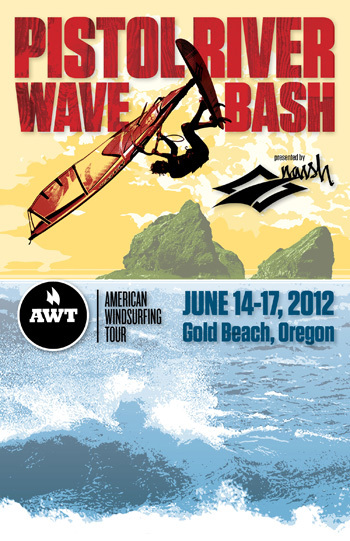 The 2012 Pistol River Wave Bash presented by Naish is fast approaching, you better get plans in order to attend the third annual running of the Pistol River Wave Bash on June 14-17, 2012, or at least follow all the news on WindsurfPress. This year Naish has stepped up as the presenting sponsor and with 60 competitors already registered we’re expecting it to be the best one yet, also a good chance Robby will be in attendance. Click here to register online so you can be a part of all the fun. It’s sure to be a great Event! A few Dates have just been confirmed for the PWA World Tour. The Wave event in Pozo Gran Canaria is confirmed for July 2nd to 8th, and the Freestyle and Slalom Gran Slam in Fuerteventura is confirmed for July 20th – 30th. Although the Gran Canaria event is still not fully confirmed as well as the Tenrife World Cup. 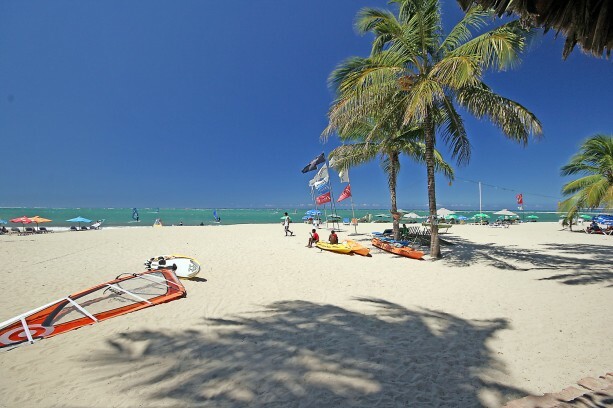 If you love (or would like to try) windsurfing, kitesurfing, surfing, SUP, sailing, kayaking and mountain biking all during one week away – Cabarete is offering all this and much more! WEPA stands for: Wind Energy Playa Ambience, all the things that make Cabarete what it is today! It is a non-profit event scheduled to take place on Cabarete beach from Monday 28th of May until Saturday 2nd of June 2012. WEPA is the fruit of the collaboration between some long time established businesses in Cabarete. WEPA is a showcase of Cabarete’s uniqueness and a fund raiser, to enable young talented local athletes stars to participate in competitions around the world and promote Cabarete there.